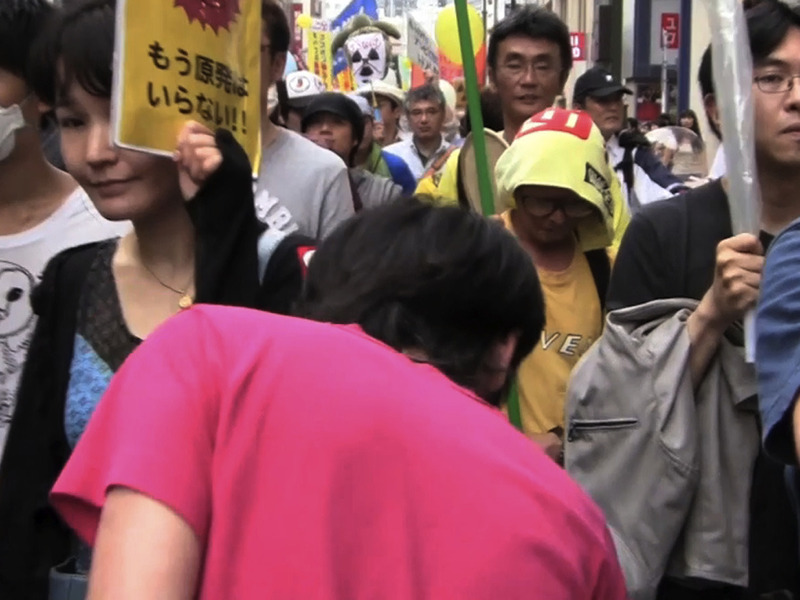 In the middle of a political demonstration that is held in Tokyo just three months after the Great East Japan Earthquake protesting the nuclear energy policy taken by the Japanese government, Niwa alone walks in the opposite direction in this video. 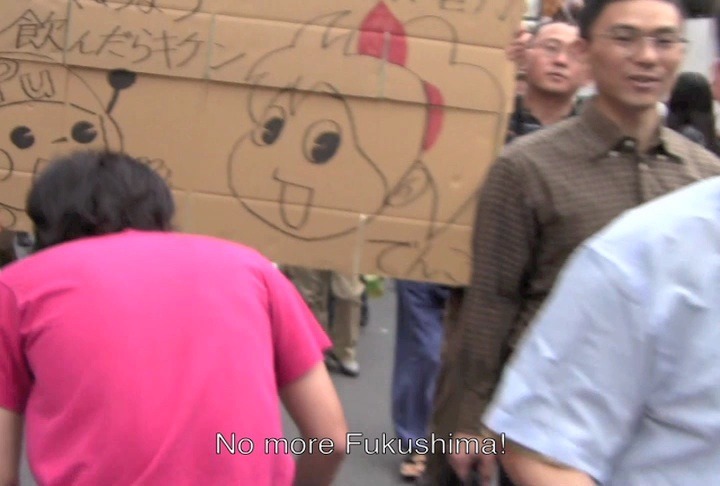 While capturing the subtle expressions and messages of the participants by walking against the flow of this mass without showing interest in the protest, the artist attempts to break up the phenomenon of the demo. Furthermore, this video was created from an idea that the act of walking against a collective holding a political message may be seen as a form of demonstration itself.